Pinwheel Card by Laura PryorNot only did the colors of Laura's card catch my eye, but the fun pinwheel for sure drew me into finding how I could create them for myself. Not only did I find out, but how fun, there is a simple little die that you can purchase online and create as many fun pinwheel cards as you'd like. Or if you don't mind hand cutting out your own pinwheels, then here's another tutorial that you can print a template. 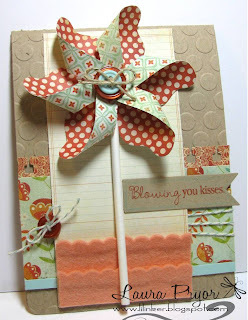 Page Corner BookmarksLove this cute little paper crafting idea and when you see the tutorial on how they were made you'll love them even more. I think I'll make some of these with my daughter, she'd get a kick out of these. I was doing cleaning out of files and came across a group of photos I collected a while back. Regretfully it was before I found Pinterest and so I have no idea where I found them, so I cannot link back and give credit to the creators (which I hate)...but I so wanted to share. So I hope the blogging world will forgive me for not linking back. I did find a couple that I've feature here doing a google search, so I'll for sure show you those links below their photo. Anyway, who doesn't love a cute cupcake? Even the type you cannot eat. 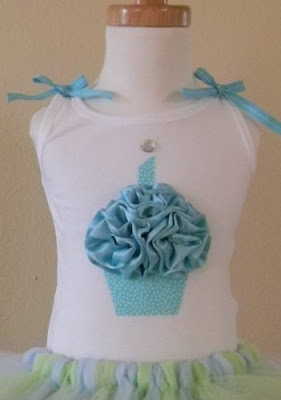 I must have thought these Ribbon Cupcake Shirts for Little Girls were cute when I saved all the images, but what I'm wondering is, can someone my age could get away with it?? I kept wondering why people were still commenting on me being sick and then I realized I haven't posted anything on my blog for a while. My apologies....I still have a lovely cough that I'm sure will continue until Summer and with my whole family having gotten it, we should like a chorus of coughing all the time! 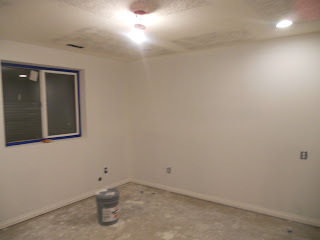 Yes, we are finally getting the basement finished and now worries, these are NOT the colors of the basement. But boy it seems to take up a lot of my time, energy and definitely MONEY!! But the closer I get to moving my son downstairs the closer I'll get to finishing my office/craft room. I feel bad though, my husband keeps telling everyone he got "fired".